Because the ability to use math paves the way for success in many areas, it is important for children to do well in math class. 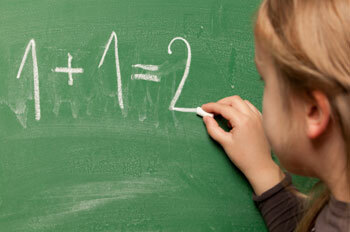 Follow the tips below to help your child succeed in math. How Can I Help My Child Practice Math? Regardless of how you feel about math, take a positive approach to your child's learning. Ask her to teach you some math problems that she's currently learning, or have her explain how her teacher demonstrates math problems in class. These approaches reinforce what your child is learning. Acknowledge her accomplishments in math class to keep her motivated. It also helps to give your child reasons why math is useful. For example, if your child is interested in science, explain that a strong background in math is necessary if she plans to pursue a science career. This is also true of many other fields, including accounting, engineering, architecture and fashion design. Emphasize the importance of math for planning and following a budget, calculating a 20% discount on jeans and adding up the miles for a road trip. The best way to help your child with math is to communicate with his teacher. Ask about the curriculum, textbooks, needed supplies and teaching methods. Find out what kind - and how much - homework will be assigned as well as how often progress reports will be sent home. Ask the teacher how well your child participates in class. You can find out if your child is struggling and how you can help. Be available to assist your child with homework, but encourage her to solve the problems herself. Review homework assignments to make sure she understands the math concepts. If not, make up similar problems and teach her how to solve them. If there is no homework, find out what she's learning in class and work on that. Play games that reinforce math concepts. 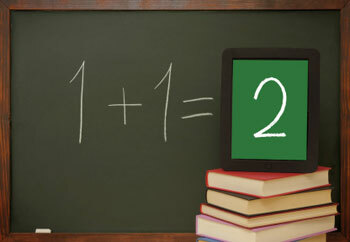 Your child can play online math games, or you can find ideas for a multitude of games to make yourself. Find story books for younger children that explain math concepts in a fun or humorous way. Ask a teacher or librarian for recommendations. Reinforce math facts and patterns using math rhymes and songs. Look for computer math programs that can help if your child's math level is too advanced for you. Some programs allow you to enter sample algebra problems and see step-by-step how to solve them. Alternatively, you can search YouTube.com for short lessons that explain how to work problems.